The Roman Aqueduct in Segovia, Spain, has to be one of the most famous ones in the world. Every time I’ve seen it, I’ve been impressed. These photos aren’t the best, but they give a good impression of the how the structure spans the little valley there leading to the old part of town. For more than a thousand years, this aqueduct brought water into town. That’s impressive for any piece of infrastructure. The Romans knew what they were doing, and weren’t afraid to do it well. Driving south from Peñafiel toward Segovia, I came upon the ruins of the Monasterio de Armedilla. It’s amazing how many ruins of structures like this exist in Spain. One need only drive along some of the more rural roads to encounter them. Just be careful doing any exploring. There many be dangerous conditions and creatures about. Anton Gaudí designed exotic structures no doubt about it. I had the good fortune to visit the Capricho in Comillas, Spain recently. It was built as a country house for an industry magnate. Here’s a look at the main entrance. As you can see, this is not exactly a mansion, but a building with many interesting attributes, such as a solar orientation to warm the house and support an integrated greenhouse seen in the next photo. Note those amazing hardwood floors in the photo above. Below, another photo shows the side of the house. Gaudí was a master, and his structures prove it. If you have the opportunity, visit them. One more look at the tower. More Spain posts to follow. Stay tuned. 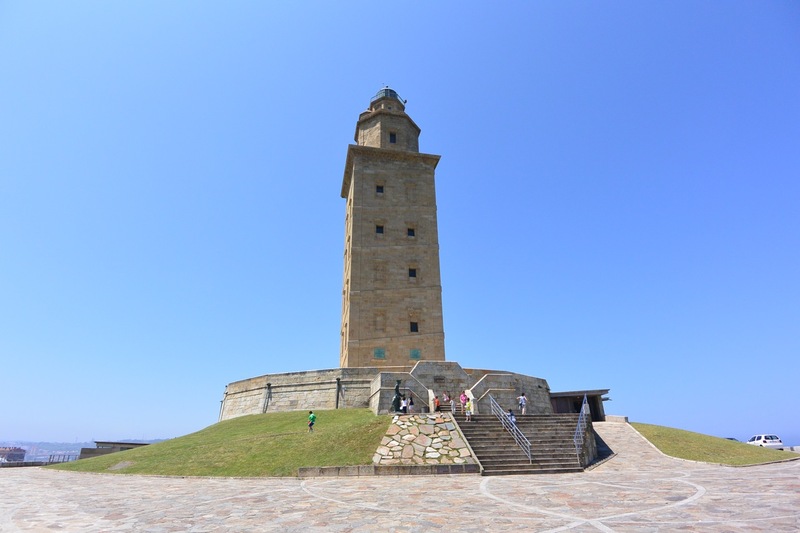 The Tower of Hercules in A Coruña, Spain, is the only Roman lighthouse still in use as an aid to navigation. Of course, it’s had some work done since the Roman’s it built it a coupe of thousand years ago. Tower of Hercules, A Coruña, Spain. There is a parking lot located several hundred meters from the tower itself. Then you walk along a long promenade out to the tower itself where you pay a small fee and enter the lowest portion. There you’ll find ruins from various times of occupation as well as quite a few steps to get to the top. However, the view is worth the climb. 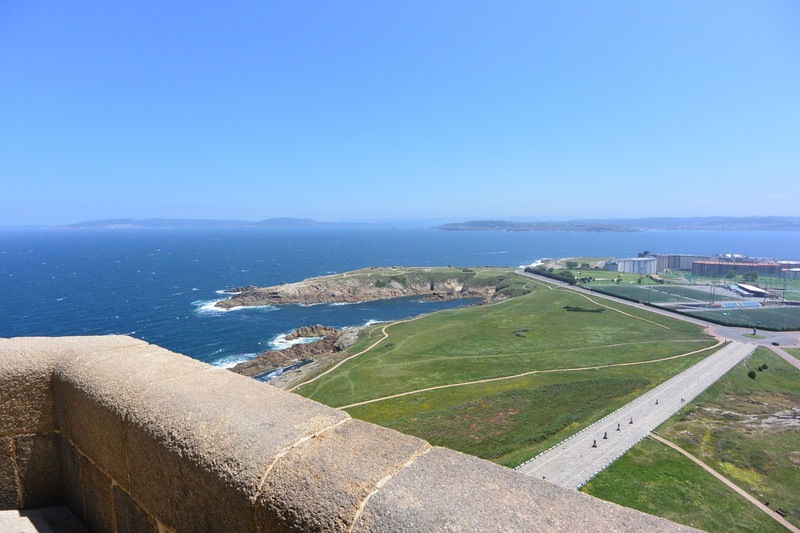 View to the north from the Tower of Hercules, A Coruña, Spain. It can be quite windy here so secure your hair. 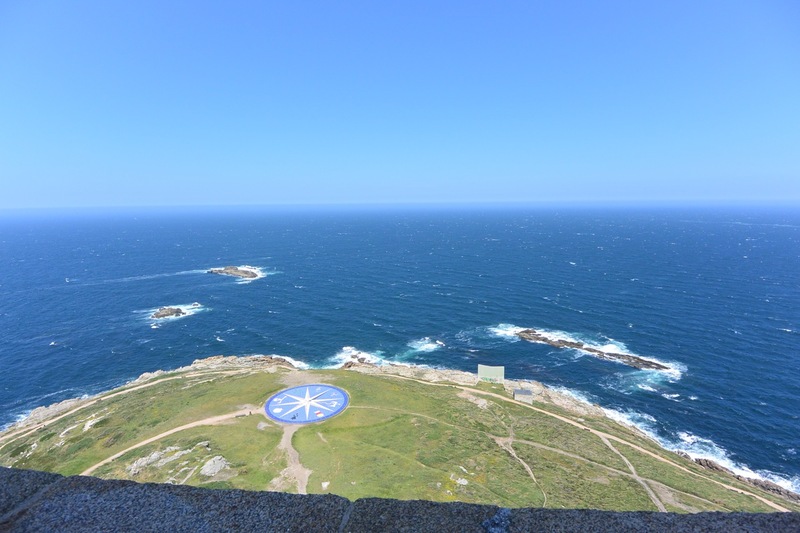 View to the west from the Tower of Hercules, A Coruña, Spain. And be sure to hang on to your camera. 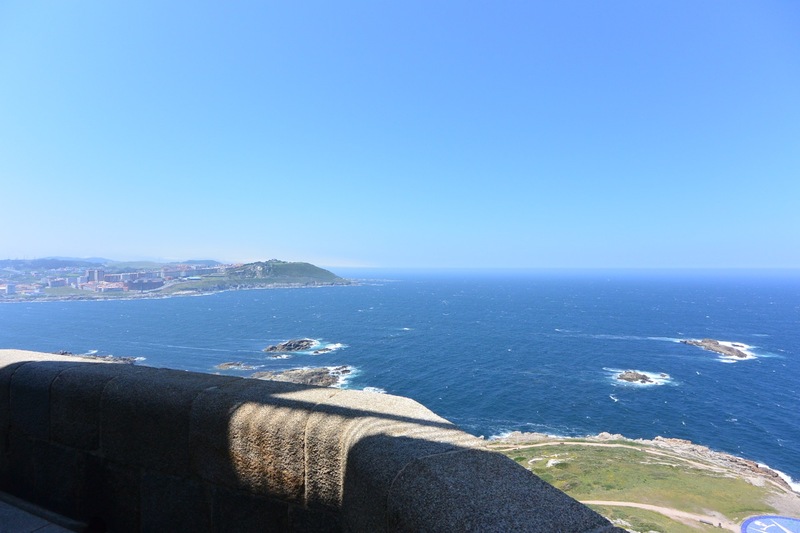 View to the south from the Tower of Hercules, A Coruña, Spain. If you’re lucky you might see some ships or sailboats out there. After that long climb up the stairs, head into town for a great meal. You earned it!